This entry was posted in Children's Health Insurance Program (CHIP), Health Care, Health Insurance Blog on 12/16/2016 by admin. 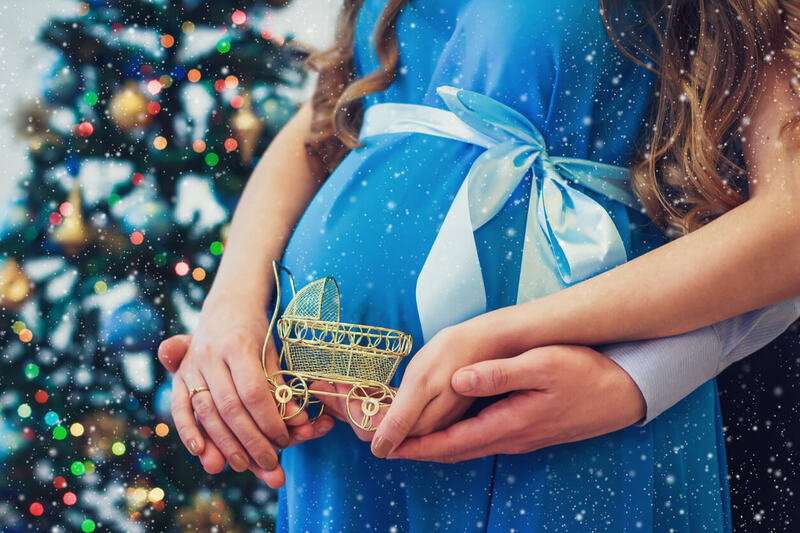 If you are pregnant this holiday season, catching up with friends and family will be even more special. While the holidays tend to be a season of indulgence, prioritizing your and your baby’s health needs is imperative. Make sure you understand the different types of health insurance that are available to you as your needs might change with the birth of your child. Here are four ways you can keep healthy this holiday season if you happen to be pregnant. While you might want to get in some traveling before you give birth, the stress of travel can be too much on your body and your unborn child. Sitting in one spot for too long can be uncomfortable and decrease overall blood flow. If you can have family come to you this year, you can keep to your routine and make sure you can relax and stay less stressed. If you do need to travel this year, be sure to consult with your doctor first. Overindulging during the holidays is easy to do, but being pregnant is extra motivation not to. You owe it to yourself and your baby to maintain a healthy lifestyle throughout the holiday season. For starters, be sure to stay hydrated. When others are celebrating with champagne, you can be right there with them with your glass of sparkling water. Try to make good decisions around the dinner table, such as lean meats and whole grains. Fruits and veggies should be a part of every meal. While you might be exhausted from celebrating, getting in light exercise can be good for you and your baby. Enlist a family member to go on walks with you after big meals so you can keep active. Certain foods should be avoided while pregnant. Steer clear of caffeine and alcohol, of course. Make sure all meats are well cooked; maybe even avoid poultry if you haven’t prepared it yourself. Certain cheeses should be avoided, such as unpasteurized soft cheeses. Eggnog from scratch might have raw egg and should be passed over this year. Getting in to the doctor for regular checkups and having access to proper prenatal health is important no matter what time of year it is. It might seem harmless to miss a doctor’s appointment around the holidays, but following your physician’s recommendations is important. Flu shots are a basic recommendation for all, but the CDC specifically encourages pregnant women to seek this out. There are so many things to keep track of while pregnant, but your health should be of utmost importance. Along with staying healthy over the holidays, making sure your health insurance is up to date is key. It can be easy to find health care insurance quotes online to fit your needs. Remember that you may need to consider different types of health insurance now that you will be needing a variety of care for your growing family. Keeping yourself and your baby healthy over the holidays should be your number one priority this year.